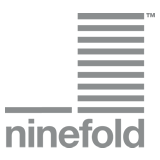 Ninefold, Australia’s largest public cloud provider, has appointed Sean Jarman and Shaun Domingo to support strong business growth in its commercial operations and development teams. As Commercial Manager, Sean Jarman brings strength in developing structure, innovation and operational efficiency at globally renowned brands including Diageo, Orange, BT, Shell, Ericsson, Thomson Reuters, and Vodafone. At Ninefold, he will develop and implement effective financial and commercial processes across Ninefold’s business portfolio. With almost 15 years’ experience working exclusively in blue-chip organisations, Mr Jarman brings a wide-range of commercial acumen to Ninefold, and joins most recently from Optus where he was Head of Commercial Marketing. In this role, he acted as a CFO and looked after marketing analysis, product marketing and development, contract management and Optus’ rewards program. Mr Jarman holds a Bachelor of Commerce, with Financial, Management Accounting and Economics Majors from the University of Canterbury, New Zealand and is a qualified Chartered Accountant. Shaun Domingo joins Ninefold as Software Development Manager to review and manage the company’s cloud computing portal, and shape the strategy and direction of the customer interaction with the site. With ten years of significant development experience, he joins from Hyro, Australia's oldest digital services company listed on the Australian Stock Exchange, where he was Technical Manager responsible for a number of portal systems projects. Before Hyro, Mr Domingo was Technology Lead at Optus Business Portal. Mr Domingo holds a Bachelor of Information and Communication Technology (Network Management) First Class Honours from the University of Wollongong. Ninefold is an Australian Amazon AWS and Amazon EC2 alternative with locally stored data, free local support, self service flexibility and low latency. This allows you to provision virtual machine hosting and cloud storage quickly - scaling up and down when needed - and only paying for the resources you use.